A small tree/spreading shrub, it has a flat topped open crown and low branches. Masses of small pink flowers appear along the dark grey branches before the leaves appear creating a lovely contrast. 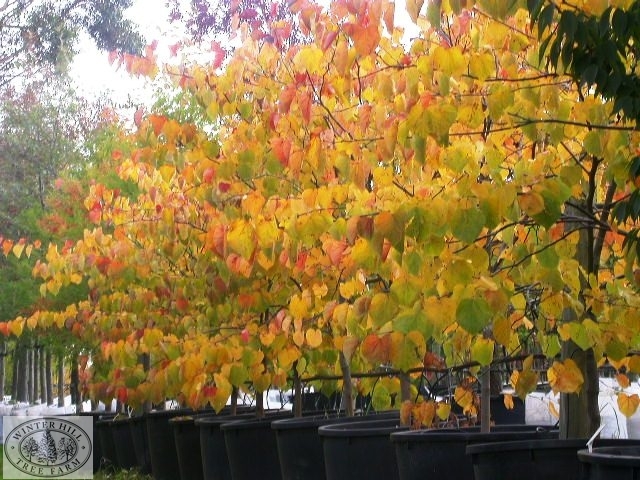 Large heart-shaped leaves are velvety red-purple, turning back to green in late summer before putting on the autumn show of apricot, gold and salmon tones. Needs protection from hot winds.